To understand why you should have title insurance, you must first understand what “title” is. When you purchase real estate, at the closing you receive “title” to the property. “Title” is the owner’s right to possession and use of the property. There are different forms that “title” can take: individual ownership, tenants in common, joint tenants, life tenant, etc. There are also different uses for land and the rights for those uses can be given or sold, or they could be restricted by prior title transfers. 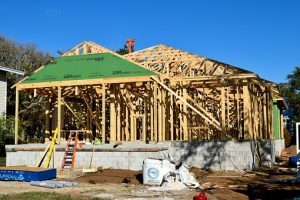 There can be different owners for different uses: one person may have mineral rights, another air rights, and another utility rights on the same piece of property. A mortgage lender can have an interest in the property, as can anyone who performed work on the property if they filed a lien against it. The government can have a lien for unpaid taxes, and the municipality or a utility company could have an easement giving it the right to string utility lines across the property. Before you purchase property (or take title to property) the best practice is to search the title records to reveal what type of title the current owner has and can sell or transfer to you, and to ensure that the title is “clear” and not encumbered by any judgments or liens. In theory, you could search the title records yourself, but if you do not know what to look for it is advisable to hire a title company to do the search. This is standard practice before closing. And, if you are getting a mortgage to finance your purchase of the property, the mortgage lender will require that you hire a qualified third party title company to perform the title search. The title search shows not only limitations on the use of the property and rights others may have in the property, but also liens or monetary obligations that are outstanding against the property. It is a bit counter-intuitive, but title insurance covers events from the past which would attach to the property and end up being the responsibility of whoever owns the property. If a purchaser obtains title insurance, and there is no exception in the policy related to the particular issue in question, then the title company would be responsible for resolving that issue rather than the purchaser of the property. The title insurance does not cover anything that happens to the title after the date of issuance of the policy. For instance, if you fail to pay your property taxes and a lien is filed against the property, the title insurance company is not responsible, but, if there is a tax lien against the property for taxes not paid by a prior owner of the property, then you should have coverage under your title policy. When the contract purchaser of a property orders title insurance, the title company will do a search to discover any problems or limitations with the title. The title company will require significant defects to the title be corrected by the seller of the property prior to closing. Such issues may include: improper vesting by deeds, wills, and/or trusts; mortgages, judgments, and tax liens; easements; or incorrect notary acknowledgments. These are generally uncovered by the title search and can generally be cleared prior to the closing of title. If they are not able to be cleared such issues will usually be listed as an exemption from the title policy’s coverage. In that case, a purchaser is typically entitled to cancel the contract. However, keep in mind, that it is possible that existing defects with the title may not be discovered. That is where the title insurance comes in. Some types of problems that are not likely to be discovered by a title search include fraudulent acts by prior owners, for example forged documents purporting to transfer title, forged mortgages, or forged satisfactions of liens or discharges of mortgages, impersonation of the true owners of the land by, or documents executed by someone falsely purporting to hold a power of attorney; mistake, such as the seller forgot to get divorced before he remarried, or forgot he got divorced and has inherited the property as the surviving spouse; or perhaps you have acquired perfectly good title to a piece of property for which there is no legal access. The title insurance will protect against undiscovered title defects which existed prior to the effective date of the policy. If at any time during your ownership of the property someone asserts a claim against your rights of ownership in the property, the title insurance company will cover the cost and fees associated with defending against the title claim. The policy will also cover, up to its face amount, any loss of title or the cost of perfecting the title. Therefore, we at McLaughlin & Nardi, LLC, always recommend that you purchase title insurance when you purchase real property. If you have questions, or need assistance, please contact us by phone or e-mail.